I tightened up the rules for commentors on my blog so that people don’t hide behind fake names. Of course, since then, there has been a small volcano of comments from a certain section of the community, all valiantly trying to hide their identity and adding nothing of substance to what I wrote. Here is the latest from someone parading as ‘Navardok’ presumably because he is a misnaged, or more likely, a chassid trying another level of obfuscation. For Novardok Bachi, please. Note that I’m neither a member nor do I daven at Mizrachi. I’m a member of Elwood, Yeshiva and Ohel Dvora. All for nostalgic reasons. If my readers are looking for either a laugh or wanting to understand the mind set of an extreme group in our community, I thought I’d give Navardok Bachi, a guest post comprised of his latest comment. I have a message for you on behalf of Real Torah Yiden in Melbourne. People are tired of your anti Hareidi & anti Chassidic vitriol. You are little more than a filthy Zionist piece of human garbage. 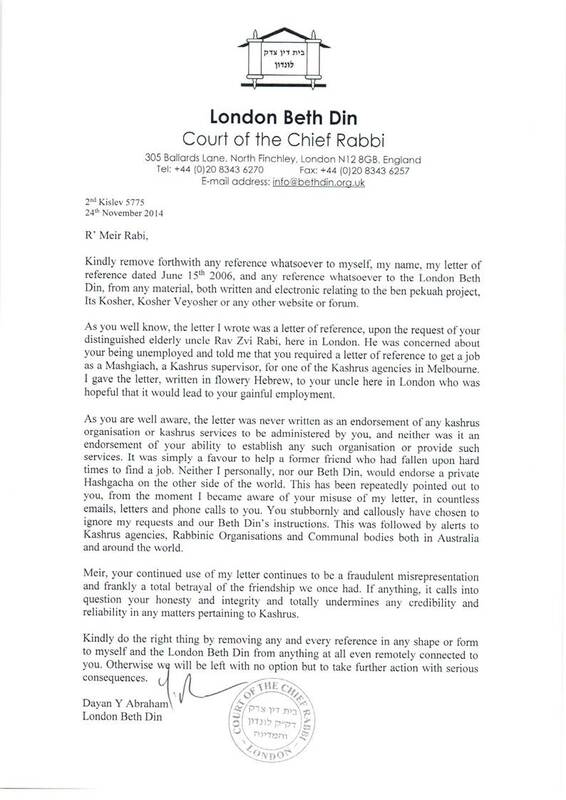 You are not welcome at Adass or the Kollel or for that matter at any other Torah true community. Why don’t you just remain at Mizrachi where you belong or in the alternative please consider moving to Tel Aviv & hang out with the Chiloni garbage you like to defend. Can you please just shut down your blog and do us all a favor and get lost. I have another solution for you, Navardok Bachi, you are NOT allowed on the internet. Turn off your computer and stop breaking the gezeyros of your Gedolim.